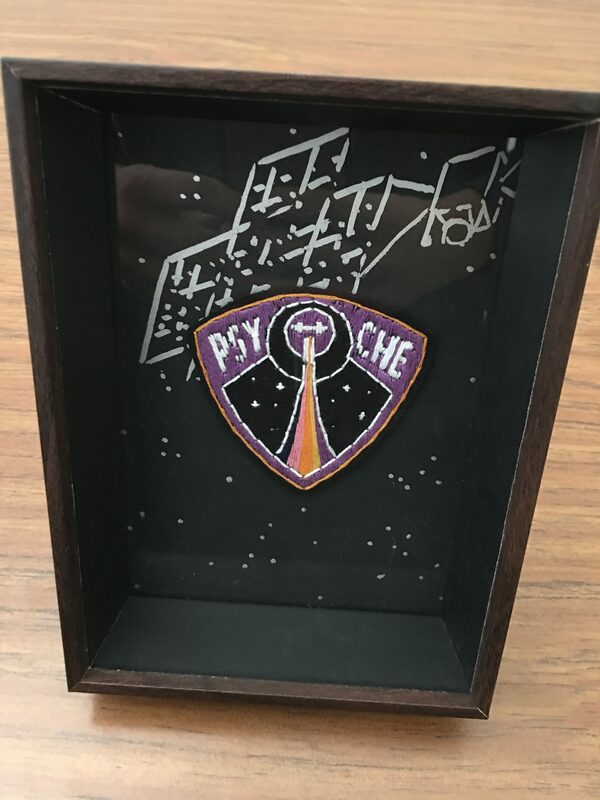 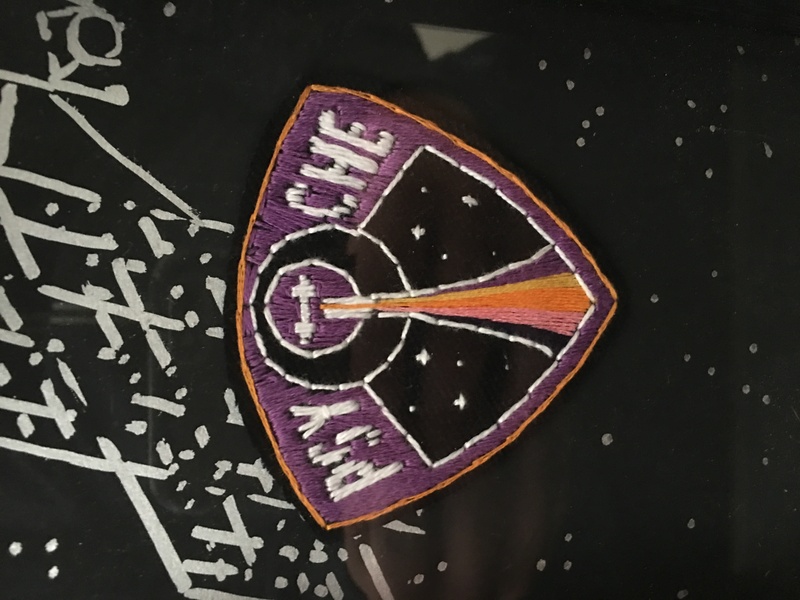 About the work: A hand embroidered patch for the Psyche Mission in the style of older NASA mission patches. About the work: This animated loop shows an engineer staying late to work on the Psyche orbiter. 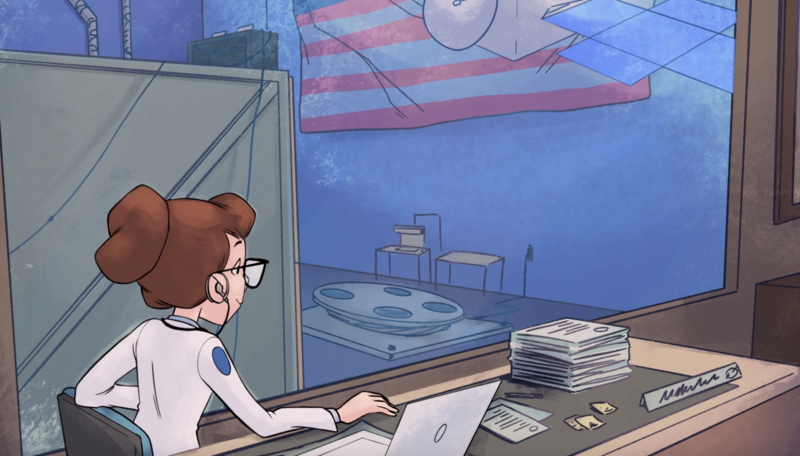 She types on a computer, testing the orbiter and turns to see it respond to her. 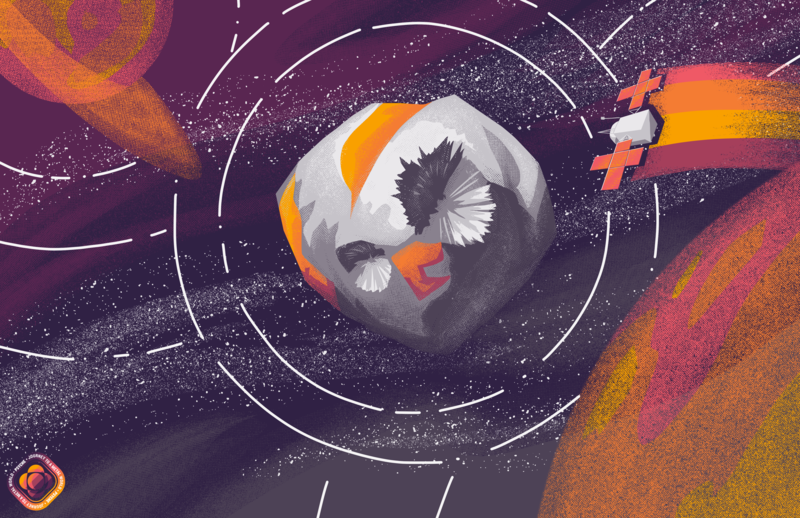 About the work: This piece was made digitally with only halftones (small dots of color) and only uses the Psyche colors!